The craft of candle making has its roots in the Middle Ages, back when it was known as “chandlery.” It quickly became a profitable career, as sources of light were vital for homes, travelers at night, businesses, streets, religious ceremonies, and entire villages. These first candles were made from wax consisting of tallow, which is the fat from cows or sheep, and wicks. Tallow thus became the standard candle-making material in Europe. Tallow candles retained an unpleasant beefy, fatty odor, but a more pleasant alternative was also introduced in Europe at the time: beeswax candles. Their wax was naturally produced by honey bees and they were used in churches and royal events for their sweet scent. Their limited availability meant they were expensive, and only the church and the upper class could afford to buy them. Tallow was established as the more commonly used candle in households. Several other civilizations had their own techniques for creating sources of light. Ancient Egyptians created torches or “rushlights” by soaking the core of rush plants or seeds in animal fat, but the difference between them and true candles is that they did not have wicks. The Ancient Romans created candle wicks by rolling papyrus and dipping it in melted animal fat or beeswax. Early Chinese candles were made from a combination of the wax excreted from an indigenous insect and from particular seeds. The candle shapes were molded in paper tubes with the wicks created out of rolled rice paper. Japanese candle wax was extracted from tree nuts, and Indian candle wax was created by boiling the fruit of the cinnamon tree. Aside from the romantic, meditative, therapeutic ambiance and pleasant scent they provide, a major benefit of DIY candles is that they are less expensive than store-bought candles. Brand name candles are especially costly, but candles that are less harmful to health can be created for a fraction of retail prices. The majority of candle brands create paraffin candles, as this material results in candles that are more economical to produce than any other candle fuel. The disadvantage of burning a paraffin candle was that it had a low melting point and emitted harmful byproducts such as carbon monoxide. Although stearic acid was added to resolve the problem of the low melting point, the issue of unhealthy vapors remained; paraffin candle fumes can contain a number of carcinogens including Acetaldehyde, Acrolein, Benzene, Formaldehyde, Polychlorodibenzo-p-dioxins, Polyaromatic Hydrocarbons and Toulene. Burning paraffin candles can potentially cause skin irritation, organ toxicity, and neurotoxicity problems. DIY candlemakers can ensure that their candles are paraffin-free by using paraffin-free wax or beeswax. The wicks of store-bought candles can also be culprits when it comes to causing health issues, as they might not be free of additives like zinc and lead, which release harmful chemicals when burned. Environmentally-friendly wick options are available such as those that are 100% cotton. Any heat-resistant containers can be used to house the final homemade candle. A jam jar is one example of a repurposed/reused container that would work well. This means they produce less waste, giving them the added benefit of being eco-friendly. Using a jam jar to house a candle prevents the need for the customary plastic packaging used to wrap individual candles. Store-bought candles are largely paraffin and tend to drip when burned, but a properly trimmed pure beeswax candle will not drip, as long as it is in an environment that is free of drafts that would cause a flame disturbance. If a paraffin candle does not drip, that means it contains additives that make the wax act like beeswax to prevent it from dripping as much as it normally would. Paraffin candles are a byproduct of the oil industry, so even extracting the non-renewable petroleum that will be refined to create the paraffin beeswax causes pollution. Using beeswax candles supports the business of beekeepers, who care for bees. This, in turn, supports crop pollination. Collecting and processing beeswax does not pollute the environment and is a renewable source. Beeswax is used in its original state, so it does not undergo bleaching or hydrogenating, and it does not require the use of large areas of land. Compared to the petroleum scent of paraffin, a pure beeswax candle has the natural sweet smell of honey and does not contain any synthetic ingredients nor does it require any synthetic additives. Paraffin candles require additives like colors and fragrances to release a pleasant scent. The type of wax in a candle will yield a difference in light quality as well. Paraffin candles emit a light that is similar to that of incandescent light bulbs, which can be tiresome to the eyes. Beeswax candles emit a light that is brighter and that is often equated to the brightness of sunlight. PARAFFIN is the oldest and most traditional candle-making wax. It is the least expensive and readily accepts colors and scents. Paraffin wax should be melted until it reaches between 50°C – 60°C (122°F – 140°F). BEESWAX is the best option for those who seek all-natural products. It’s natural, subtle aroma and golden color mean that colors and scents do not need to be added; however, this also means that the natural scent will interfere with any fragrance additive and the added scents will not be effectively incorporated into the melted wax. Beeswax should be melted to a temperature between 62.7°C – 79.4°C (145 °F – 175 °F). 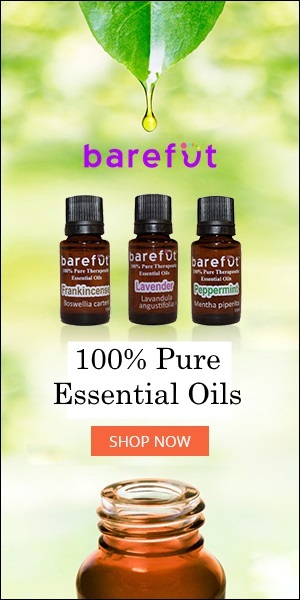 AROMATIC OILS (SYNTHETIC FRAGRANCE OILS OR ESSENTIAL OILS): To add aromatic oils to wax, it is important to know the “flash point” of the desired scent. This is the temperature at which the scent evaporates and cannot be detected anymore due to overheating. For instance, adding a fragrance with a flash point (evaporating point) of 65 °C (149°F) to wax that melts at 80 °C (176°F) will cause the fragrance to be heated above its flash point and the scent will evaporate as the wax cools and sets. When the candle has fully cooled, no scent will remain. It is also important to have the correct ratio of aromatic oil to wax, as adding too much of the oil can affect the stability of the candle, potentially causing it to curdle or sweat while setting. It can also create a thin layer of oil at the top of the candle. Although the number of aromatic oils used in candles will vary depending on the type of wax used, the most common amount to use is 6% which is the same as 1 oz. (28.34 grams) per pound (0.45 kg) of wax. It is important to remember that nose blindness can occur when adding scents to candles. This is a form of sensory adaptation that happens when the sense of smell becomes so accustomed to the scent that it smells less intense than it actually is. For this reason, taking frequent breaks away from the scent is highly recommended to prevent candles from being too strongly scented. Colorants: There are specific oil-based dyes meant for candles, as regular food coloring will not work in candles due to the fact that they are water-based. The manufacturer’s guide or the dye bottle will provide information about the amounts of dye required to achieve specific colors and concentrations. For example, a rose-scented candle is most often expected to be red or pink in color, as that is the natural and most popular color of the traditional rose with the archetypal sweet aroma. There are two types of colorants for candles: pigments and dyes. Pigments are used to color the exterior of the candle. Dyes, which are melted into the wax itself, color the entire candle thoroughly. As long as both types of colorants are used as intended, they will not pose any health risks. PIGMENTS are the ideal colorant for colored candles that will not be as susceptible to fading, as they do not migrate or bleed; the different pigments will not merge or blend into each other as the candle burns. On the downside, because they are powders and do not dissolve, pigments do not usually burn well due to the suspension of their fine color particles. If mixed into candle wax, they will cause the flame of the finished candle to smoke excessively or to flare up, or they will not travel up the wick, which will cause it to become clogged and to burn out. Instead of combining them into melted wax to color a candle throughout, it is better to paint them onto the outside of a finished candle. Though pigments can be mixed together to create an endless number of colors, many of them are already mixtures of several colors and adding too many colors to a melted candle mix might lead to a muddy color rather than an attractive, vibrant shade. Mica pigments are a popular colorant for candles. They are shimmery powder dyes made of silicate minerals. These powders reflect light and when added to candles they create a sparkling effect. DYES come in both liquid and powder form. Dyes dissolve in liquids and do not usually clog wicks, as they burn easily when added to candle wax. They generally have a minimal effect on the way colored candle burns. On the downside, this type of colorant often leads to a bleeding candle. This means the candle’s colors will move into each other or “migrate.” Dyed candles also tend to become unstable when exposed to any source of UV light, which leads to their colors fading. LIQUID CANDLE COLORING DYES are wax-soluble, highly concentrated, and will not leave suspended sediment that sometimes results from using powdered dyes. Their solubility means that colors will not migrate in a candle; however, the color can still fade when exposed to UV light. Generally, 1 oz. (28.34 g) of liquid dye can color 125 lb. (56.69 kg) of wax to a medium shade. 4 to 8 drops per pound of wax is the ideal amount to use. Using more than 10 drops of dye per pound of wax might cause candles to have a chemical smell. The maximum amount of liquid dye is 30 drops per pound (453.59 g) of wax, and using more than this can lead to a clogged wick. Melted paraffin wax will not mix with liquid dye, so the powdered dye is suggested. POWDERED CANDLE DYES are the most concentrated of all candle dyes. To promote better dispersion and to reduce the number of undissolved powdered dye particles in the wax, these colors can be dissolved in a small amount of melted stearic acid or blended with a fragrance oil before being combined with the wax. The temperature at which they dissolve most effectively in wax is 80 áµ’C (176 áµ’F). Once the wax reaches this temperature, the powdered dye can be stirred in. To prevent any clumps of color, ensure that the powder has properly dispersed. Powdered dyes can also be mixed together to create myriad other colors. The amount of powdered dye is measured by weight as a percentage of the amount of wax being used in the candle. To achieve the desired color, adding the dye in stages is recommended. Begin with small amounts, such as a pinch, and increase the amount until the ideal color is reached. To see what the final color will be while the wax is still melted, scoop a small amount of melted colored wax onto a spoon and run cold water over it to cool it. The candle’s final color will show on the spoon. CONCENTRATED CANDLE DYE BLOCKS are molded blocks of wax containing colorants. They do not require any additional weighing, as the exact amount of dye has already been calculated and incorporated into each block. Vendors might provide color charts and directions for how to achieve each color swatch. The same color block will make various color concentrations simply by varying the amount of wax used with a single dye block. The appearance of color will vary in different types of wax but color blocks generally do not produce colors as vibrant as the ones created by liquid dyes and are best suited for attaining soft colors. The recommended starting rate is 0.5 oz. (14.17 g) of dye block in 5 lb. (2.26 kg) of wax. For a darker shade, black coloring block can be added. Lighter shades will fade faster than darker ones. To use a color block in candle wax, the desired amount of color is shaved off and added to the melted wax. To prevent specks of color from settling at the bottoms of candles, ensure that the color block is fully combined with the wax before it is pouring into the mold. CANDLE DYE CHIPS are available in any color and often come in diamond or circle shapes. Only one chip is required per pound of wax. Dye chips are most convenient for dying small amounts of candle wax, whereas powders, liquids, and blocks are best suited for dyeing large amounts. Caution: Using too much of any kind of colorant in candles can suppress the throw of the scent and impact the melt pool of the candle, which is how quickly the candle burns and finishes. Prepare the work area with newspaper or paper towel to make for easy cleanup, as wax droplets can land anywhere and be laborious to scrape off. Set up newspaper or paper towels around your work area. Use the newspaper/paper towel as a place on which to set tools such as the thermometer and spatula. Having the containers and wicks laid out before beginning the process will provide more efficiency. If the wax does not already come in small pellets, cut the block of wax into smaller chunks with a sharp knife. Melt the wax in the double boiler by filling half the bottom pan with water and, for an 8 oz. (226.79 g) jar, place half a pound of wax in the top pan. Stir the wax until the big chunks have all been broken up. After 10-15 minutes, the wax should be melted entirely. At 71 áµ’C – 76 áµ’C (160 – 170 áµ’F), remove the wax from the heat. Cut the wick to fit the height of the container. Tape or wrap the extra length of the wick around the pens or pencils so that the wick stands upright when placed inside the container. These writing utensils should be placed across the top of the container to keep the wick in place at the center of the jar as the wax is poured in and as it cools later. Some wicks have stickers on the bottoms to help them adhere to jars. Other options include sticking the wick in place with super glue or dabbing the bottom of the wick with melted wax. Hold the wick in place until the glue or the wax hardens. An aromatic oil can be added to soy wax, paraffin-free wax, or beeswax at the temperature best suited to its flash point, which is the point at which the scent evaporates. For example, if an aromatic oil’s flash point is greater than 80 áµ’C (176 áµ’F), add the oil before the wax gets hotter than 80áµ’C (176 áµ’F). The amount of oil for the wax will be determined by the strength of the scent and the amount of wax. Stir in the fragrance until it can be smelled through the wax mixture and until it is evenly distributed. Stir in the aromatic oil for a minimum of 2 minutes to ensure it has been fully mixed into the wax. Allow the wax to cool down to 54 áµ’C – 60 áµ’C (130-140 áµ’F) before pouring the wax into the container. This is the optimal temperature range at which to pour the wax, as the candle will set better this way than if poured when it is hotter. While pouring the wax into the prepared containers, keep a light hold on the wick to ensure it stays centered, as the heat from the wax might dislodge the wick from its place at the bottom of the container, especially if the wax was also used to hold the wick in place. Do not pour all the wax into the container at once – save some in the double boiler until the initial pour sets inside the container. To add the remainder of the wax to the candle container, repeat the melting process. As the candle sets, a sinkhole will likely form in the center of the candle and the edges of the candle will likely pull away from the insides of the container. To fix this, simply top up the container with the remainder of the melted wax. Do not fill the candle container all the way to the top, as space will be needed for the wax to melt when the candle burns. Allow the candle to cool. Paraffin candles generally take 24 hours to cool, Soy candles generally take 4 – 5 hours to cool, and Beeswax candles generally take 6 hours to cool. Allowing them to solidify at room temperature overnight will yield the best result, as the gradual cooling process will prevent cracks in the wax. Trim the wick of the finished candle to 1/4″ (6 mm). A wick that is longer than this will produce a sooty flame. If a scented candle has a long wick, the fragrance will not disperse and will instead be burned up quickly. This is because a small wick means a smaller flame, which means the candle burns slowly and lasts longer. This gives the scent a chance to emerge rather than being consumed. A long wick will also cause the flame to flicker and it might curl back into the wax as the candle cools and hardens. When cleaning up wax, it is easier to wipe it off of tools while the wax is still in liquid form. Washing it down the drain in liquid form will cause the drain to be clogged when it hardens. If it hardens before it can be easily wiped off, it is also easy to scrape off of most items. In order to ensure safety and good results while making candles out of wax made from scratch, always be aware of the temperature of the wax by using a thermometer. The fumes of wax that are overheated can cause severe illness, especially if the area is not ventilated. To prevent fire hazards, keep wax away from open flames at all times and never leave wax unattended, not even when it is being melted in a double boiler. In the case of a wax fire, do not put it out with water or with any water-based fire extinguisher. Wax is an oil and applying water to it might cause the blazing wax to splatter. Any tiny fires that accidentally occur inside the melting pot can be extinguished by putting the lid on it. The most important candle making equipment is a fire extinguisher. To prevent skin burns, use heat-resistant gloves or pot holders when handling the melting pot, hot containers, or heated equipment. Wearing loose clothing will also be beneficial in the event that hot wax sprays onto clothing, as tightly fitted clothing will allow the heat to travel immediately through the fabric onto the skin. Skin that comes in contact with heated wax should have cold water applied to it immediately and the wax should be peeled off. Ensure that the candle making routine is always mindful.